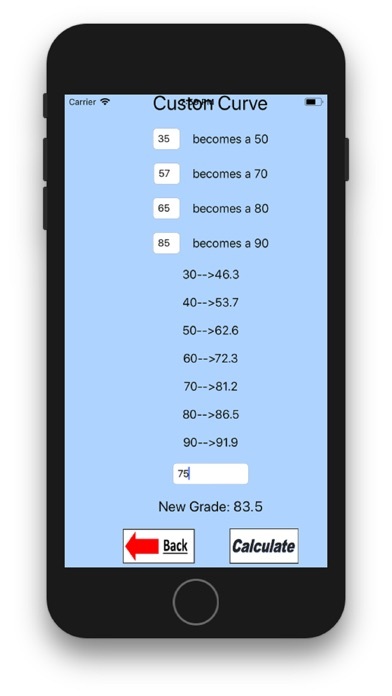 App offers several easy to use grading curves. 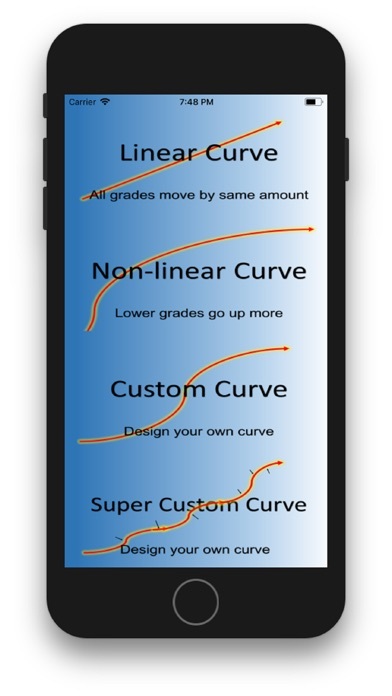 'Linear Curve' and Non-Linear curve allow teachers to quickly adjust their grades to fit a desired result (new class average). 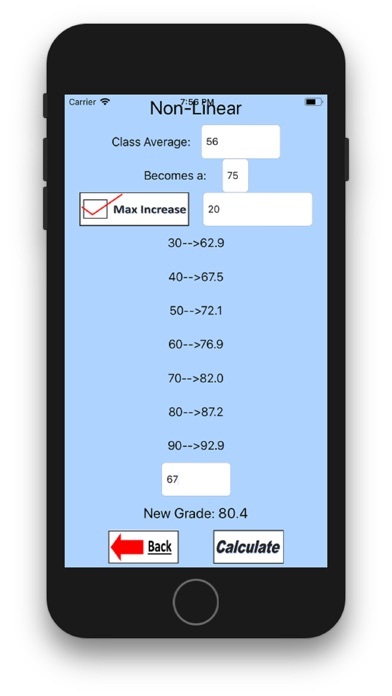 'Custom Curve' and 'Super Custom Curve' allow teachers to have more control over how much grades move. All curves are easy to use. No mathematical background is necessary. Fill out a couple of simple parameters and the app will do all the calculations. Make your lives simpler, teachers! 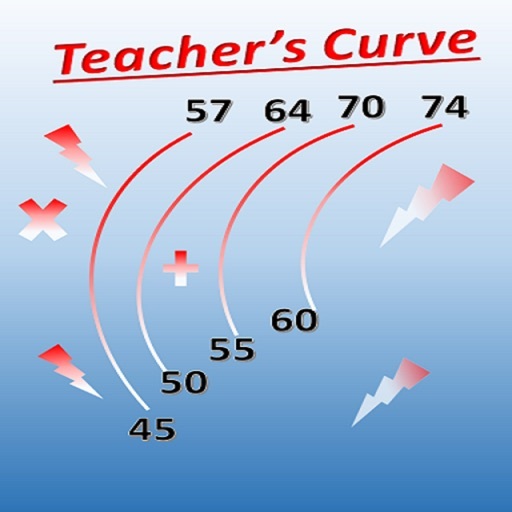 Get Teacher Curve Pro.